¿Estás planeando usar QGIS en tu organización o en tu compañía pero te preocupa si hay soporte comercial disponible? Aquí encuentras un lista alfabética, dividida en categorías, de proveedores de soporte. cogemos la responsabilidad de la precisión, fiabilidad e integriad de la información proporcionada sólo por contribuidores centrales. 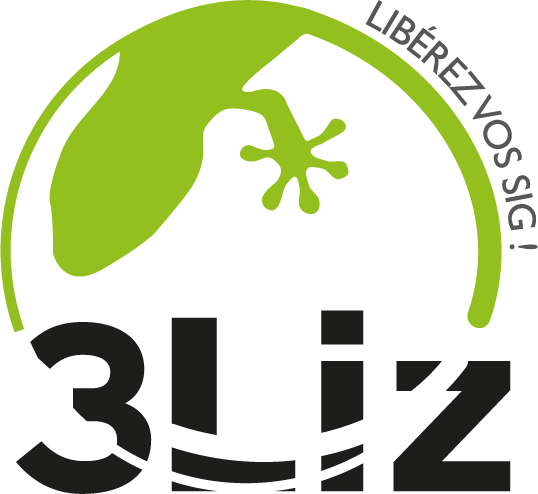 3liz (establecida en Francia) ofrece un rango completo de servicios sobre QGIS, para acompañar a todos los usuarios del software, desde principiants hasta iniciados. Dependiendo de tus necesidades, 3Liz ofrece sesiones de entrenamiento de QGIS, ofrece el portal de mapeado web LizMap — basado en QGIS Desktop & QGIS Serveur — que permite una publicación de datos sencilla en la Web, y también propone soporte, desarrollo y consultoría en QGIS. Camptocamp (based in France, Germany and Switzerland) Open Source specialist, Camptocamp is an innovative company in the software implementation of geographic information systems (GIS), business management (ERP) and server management. To implement your most ambitious projects, Camptocamp builds customized solutions based on the best Open Source technologies. Faunalia (basado en Italia y operando globalmente) provee servicios de desarrollo (tanto al núcleo como complementos), capacitación, y soporte comercial para QGIS, GRASS, GDAL/OGR, y PostgreSQL/PostGIS. Geoinformatikbüro Dassau (basado en Düsseldorf, Alemania) provee consultoría comercial, capacitación, apoyo y programación para QGIS, GRASS y otras aplicaciones FOSS. It Open (basado en Italia) proveeo soporte comercial y servicios de desarrollo C++/Python para QGIS Desktop y Server, PostGIS, Django y otros paquetes de software libre y código abierto tanto para la web como para servidor. Kartoza (Pty) Ltd. (with offices in Stellenbosch and Johannesburg, South Africa). We provide commercial support and training for QGIS Desktop and Server and carry out feature development for QGIS on a contract basis. We also develop plugins in Python and C++ for QGIS. Note: Kartoza was formerly known as Linfiniti Consulting. Lutra Consulting (con base en el Reino Unido) provee capacitación , soporte y servicios de desarrollo personalizado de software para QGIS. NaturalGIS (basado en Portugal) provee capacitación, desarrollo y soporte comercial para varios software SIG Código Abierto. Nos especializamos en QGIS (Escritorio, Servidor y Web), PostGIS y desarrollo SIGWeb personalizado. norBIT GmbH (based in Norden, Germany; etablished 1989) provides solutions mainly for local goverments, municipal services and water boards in connection with QGIS. Additionally we provide training, commercial support and custom programming for QGIS and have been actively contributing to the QGIS project since 2007. OPENGIS.ch (basado cerca de Bern y Chur, Suiza, operan a nivel mundial) provee soporte, capacitación y desarrollo para su pila SIG de código abierto. Nuestros desarrolladores núcleo QGIS son expertos en C++. Python, SQL, análisis geoespacial, desarrollo móvil (incluyendo Android) y más. Oslandia (basado en Francia) provee servicios con SIG código abierto. Oslandia ofrece capacitación, soporte, desarrollo y consultoría, estos es con QGIS y PostGIS. Sourcepole (based in Zurich, Switzerland and operating worldwide) provides FOSSGIS training, commercial support and maintenance contracts as well as cloud based geo hosting for QGIS. With three leading core committers Sourcepole is able to offer sophisticated developments for QGIS. 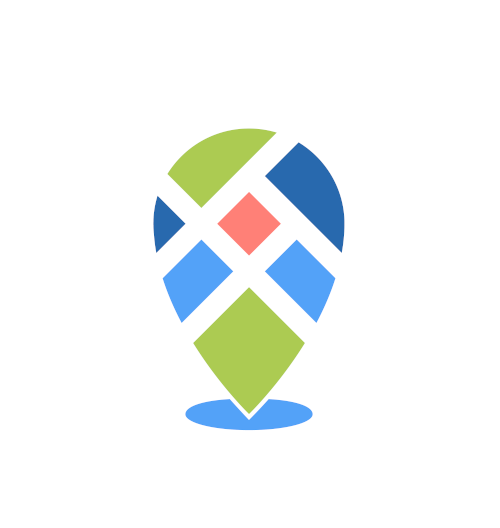 Zuidt (based in Haarlem, The Netherlands) wants Geographical Information to be open and simple. Zuidt wants to be THE dutch (international) QGIS specialist, and provides consulting, plugin coding and training services. CartoExpert (based in France) is a geomatics competence center offering both national and international services, consulting in cartography as well as geographical information systems. CartoExpert provide with technical support on QGIS, assistance in implementing QGIS within your organization, as well as GIS training on QGIS (Initiation, Improvement, workshops, mobile etc). NextGIS (establecida en Moscú, Rusia) proporciona soporte comercial, programación personalizada y formación para QGIS, PostGIS y GRASS. Septima (based in Denmark). At Septima we provide training, support, consulting and development within a range of open source geospatial projects. We have extensive experience with QGIS plugin development, QGIS-server and integrating QGIS with other products. AdventGX (basado en College Station, TX) provee soporte de instalación, capacitación, e implementación para QGIS. Bird’s Eye View GIS (Based in Albuquerque, New Mexico) provides commercial GIS services and support and training in QGIS, GRASS GIS and other FOSS GIS applications. Clear Mapping Co (based in Penryn, Cornwall, UK) is an award-winning international cartographic design consultancy. We create beautiful maps to improve efficiency in the workplace with an inclusive and sustainable design focus. Our bespoke GIS training courses in QGIS and other GIS software offer the opportunity to improve efficiency handling spatial data and creating clear maps. exeGesIS SDM Ltd are based in South Wales in the UK. We offer support and training courses at various levels, either public or private, along with bespoke workshops and mentoring. We can assist with the transition from alternative GIS solutions to QGIS, as well as the development of plug-ins to meet your business requirements. GeoICON (based in Singapore and operating in South East Asia) has been working with Government organizations for over 10 years and offers a full range of services around QGIS including training and commercial support. GIS3W (ubicado en Italia) ofrece servicios de análisis geográfico y ecológico y soporte y asistencia con QGIS. GKG Kassel, Germany (Dr.-Ing. Claas Leiner) provides training, services and support around the free geographic information systems QGIS, GRASS, SAGA and PostGIS as well as spatial data management, analysis and cartography. The Institute For Mapping Technology (basado en Austin, TX) provee apoyo y capacitación en QGIS y PostGIS. Karttakeskus (basado en Finlandia) provee soporte comercial y capacitación para QGIS y datos espaciales abiertos. Livio Stump (ubicado en Lucerne, Suiza) ofrece consultoría comercial GIS, soporte y enseñanza en QGIS. North River Geographic Systems, Inc is a small GIS Consulting firm located in the Southeastern United States. We provide Geospatial services such as data conversion, ESRI and FOSS4G software support, cartography, and data analysis. Soluciones en Tecnologías de Información Geográfica (SOLTIG) (based in Costa Rica) provides training, support, consulting and programming for QGIS and other FOSS applications. SunGIS (basado en Valmiera, Letonia) provee soporte comercial, consultoría, procesamiento de datos y programación personalizada para QGIS, GRASS GIS y soluciones de IDE basada en SIG SLCA (software libre y código abierto). TAXUS IT (basado in Warszawa, Polonia) provee servicios SIG comerciales y también apoyo y capacitación en QGIS y GRASS. Terraplan (Schallstadt/Freiburg, Germany) provides training and GIS consulting for QGIS. The focus is on consulting for municipalities ranging from the introduction of QGIS until the full replacement of other commercial GIS solutions. Terrestris (Bonn, Alemana) ofrece servicios comerciales y de enseñanza para QGIS. thinkWhere (Stirling, Scotland) thinkWhere is one of the leading independent GIS consultancies in the UK. We provide a broad range of innovative GIS products and services including «Location Centre» (a hosted Cloud-based GIS built from open source technologies). As a QGIS site, our team of geospatial experts use QGIS on a daily basis and provide QGIS Support to customers. We also run regular QGIS and PostGIS Training courses. 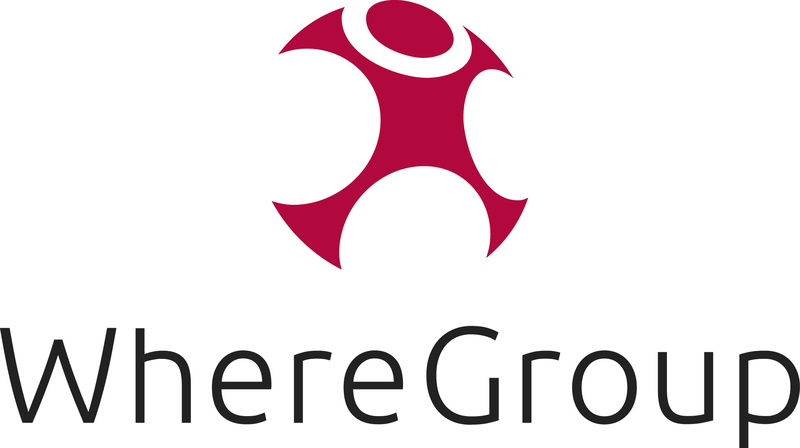 WhereGroup (Bonn, Germany) provides commercial services and training for QGIS.